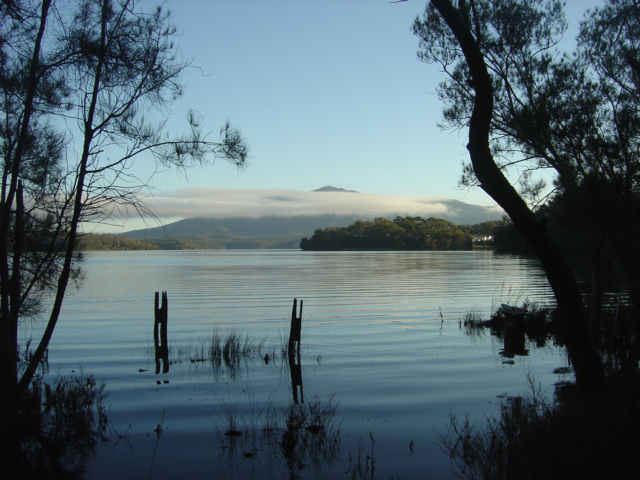 The Dragon's Lair is ideally located in Fairhaven on the foreshore of the Wallaga Lake and less than 10 minutes drive from Tilba and Bermagui. The property is a picturesque drive from Sydney, down one of Australia's most scenic ocean roads. Character filled towns dot this coast road and are the perfect place to take a lunch break and explore the antique stores. Alternatively you can travel inland on the M5 and down the Hume Highway into Goulburn, then travelling along the beautiful country road to historical Braidwood and over Clyde Mountain you will arrive at Bateman's Bay. We are then only 1 hour south towards Bermagui heading toward the picturesque Sapphire Coast. Once you arrive you are only a short walk to beaches, wetlands and adjacent to the well known Montreal Goldfields.